Published: April 17, 2015 at 11:16 a.m. 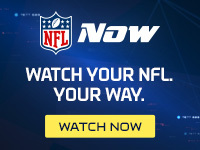 Updated: April 19, 2015 at 10:44 a.m.
NFL fans are one step closer to knowing whom their favorite teams will play from Week 1 through Week 17. League spokesman Brian McCarthy tweeted Friday that the 2015 NFL schedule will be released some time next week. No day was given, but last year's schedule was unveiled on a Wednesday. A breakdown of home and away opponents for each team was released by the NFL in December. Along with revealing next season's slate of Sunday, Monday and Thursday night prime-time tilts, next week's release also will unveil whom the Super Bowl-winning New England Patriots will play in September's NFL Kickoff. In conjunction with the announcement, NFL Network and NFL.com will offer complete coverage of the release, so check back here for details.